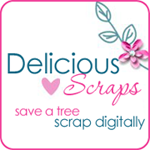 Delicious Scraps: Free Commercial Use "Springy Doodles"
Free Commercial Use "Springy Doodles"
love your doodles, girl! You totally rock them!! Thanks for sharing!! Thank you for your cute doodles, the Spring is In add-on and the wire wordart. Love the spring one. Hope you had a lovely Easter too. Hi! Just wanted to say thanks so much for the freebie! I have a brand spankin' new blog, and I posted a link to this freebie. http://makincuteblogs.blogspot.com/ Thanks Again!